"Excellent business phone system, offering advanced features on a budget!" The flexibility of the configuration, I can easily route calls exactly as I want them to go. Easy to setup call recording with an external cloud storage service which is much better than many internal offerings. Inexpensive! 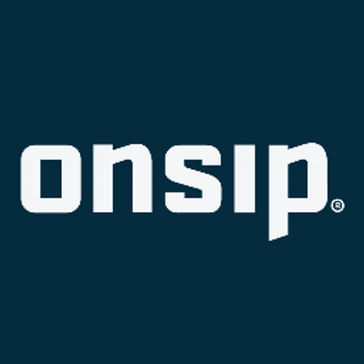 Many of the features offered with OnSip cost much more with other companies, and aren't have as reliable or easy to configure. Would be nice if it included texting, would make it a full-featured cell phone replacement. Very little to dislike about this phone system however, I have actually had zero problems that couldn't be resolved with a simple phone call or chat. Try it! It's free for 30-day and the quality of service and support is excellent. Meets compliance needs by recording all incoming and outgoing calls. Helped reduce cost by allowing an external SIP bridge to bring in the toll-free calls, along with having a per-user/line cost that is 1/3 the cost of most companies out there. Has Odoo integration, which will allow us to integrate the phone with the CRM. "Very reliable but fairly bare bones system"
We have had zero downtime issues in the time that we've used the system. It has only very basically functionality and doesn't come with a mobile softphone. Moving over to a voip system has saved us a bunch of time and the smart routing has been helpful with our team. The setup was fairly easy compared to other phone systems we've used. "Minimally involved in implementation for my company, but am an Admin"
Nothing yet, I find it pretty easy to use. * We monitor all Onsip reviews to prevent fraudulent reviews and keep review quality high. We do not post reviews by company employees or direct competitors. Validated reviews require the user to submit a screenshot of the product containing their user ID, in order to verify a user is an actual user of the product. Hi there! Are you looking to implement a solution like Onsip?